Albany Oak Motel offers a quiet, enclosed location central of Albany, surrounding by native bush land. Free WiFi and free on-site parking is available. Albany Oak Motel is 3 minutes’ drive from Westfield shopping mall, and 5 minutes’ drive from North Harbour Stadium and AUT Millennium Sport centre. 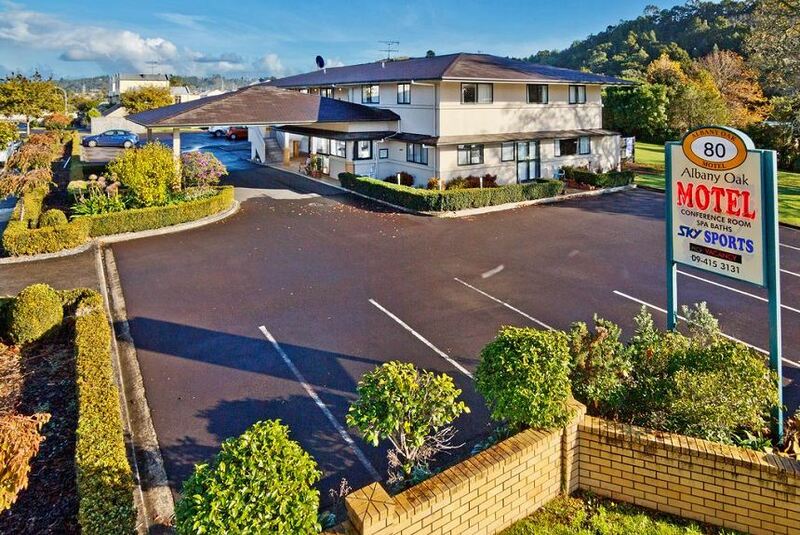 It is 5 minutes’ drive from a variety of local dining options, and 20 minutes’ drive from Auckland City Centre. Each spacious room at this motel is air conditioned and is equipped with a flat-screen TV. Certain rooms feature a seating area where you can relax. You will find a kettle in the room. Every room includes a private bathroom fitted with a shower. There is a cafe located opposite the property, where you can enjoy breakfast or lunch. Within a 10-minute walk there is a number of restaurants offering Western and Asian style food. There are a range of nature trails in the surrounding areas. The property offers a conference room.